Looking for Quonset huts for sale? Here are a few things to bear in mind before buying Quonset Huts. Quonset huts are lightweight prefab buildings made from corrugated steel. It has been widely used in various communities in the U.S. since the early 1940s. From a temporary shelter, its use evolved into various other applications. Hence, it is not surprising to find Quonset huts sprouting like mushrooms in every neighborhood. If you’re considering of jumping on the bandwagon, there are various questions to answer before you look for your own Quonset hut for sale. The most important among them is: which type of building is perfect for you? However, before getting there, you need to understand why steel buildings are growing in popularity. It’s the same way as knowing the factors that make it the best building method and a practical solution. Let’s start by exploring in more depth the various designs of steel buildings. 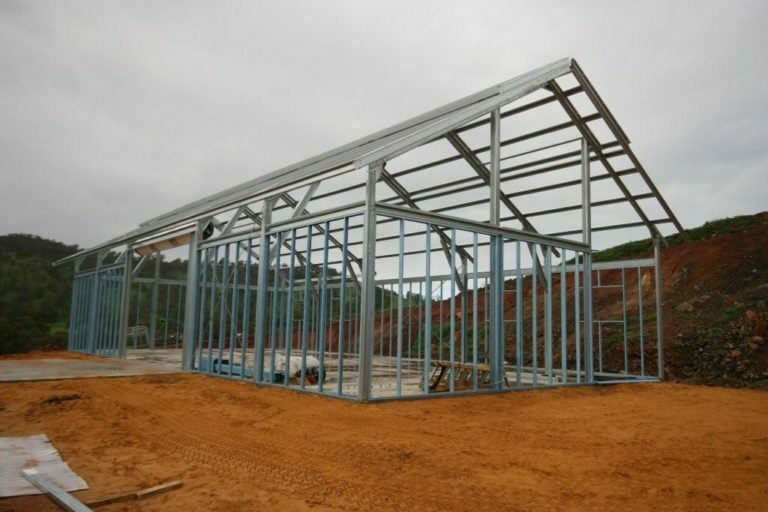 There are two basic types of steel buildings – the arch style and the rigid frame. The former is more commonly known as the Quonset huts. The name derived from Quonset Point, Rhode Island where they were first produced during the World War II. A Quonset hut in its simplest term refers to a prefabricated steel building made of corrugated steel that is semi-circular in shape. Self-supporting lengths of steel are connected together to form the semicircular cross-section. The rigid frame, on the other hand, has fixed steel structural components that are consisting of primary and secondary framing integrated with metal sheeting. They are often used in building rectangular and square shaped structures. Why are Quonset Huts Popular? It is important to note that just because an item is popular, it does not automatically mean that it is the right solution for you. Try to put it this way: did you run to the auto car center and buy a Ford Ecosport after you began noticing that more and more of it roam around the city? Consumers usually will buy the right automobile for their particular needs and the same thing applies to a new building. The popularity of Quonset huts started in Alaska when the U.S. government in 1941 spent about $3 million or an equivalent of around $40 billion today to build a stunning array of bases. 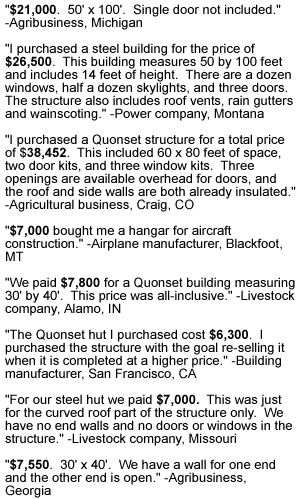 By that time, more or less 30,000 Quonset huts were transported to the northwest extremity of North America to become war rooms, bunks, hospitals, and cafeterias. You must understand however that the U.S. military did not actually choose to go for Quonset huts to serve the purpose due to its structural integrity. According to news clipping during those times, Quonset huts were deemed a better alternative to tents that were unable to provide enough protection against snow, cold, wind and ice. Moreover, conventional construction materials such as cement and wood frames were costly and transporting them was a real challenge. Simply put, Quonset huts were chosen because they were perceived a great solution to a critical need. Today, it could be safe to say that Quonset Huts are not necessarily popular just because a lot of people have regarded it the perfect solution for their project. It could be more because of the comfort, affordability, and convenience that this type of structure offers. It does not, however, mean that Quonset hits do not have advantages. It is, however, important to have a better comparison standard before evaluating whether a rigid-frame steel building or a Quonset hut is the right option for your project. You need to consider the versatility, durability, and the value of the structure. Among the advantages of Quonset huts are its durability and efficiency. This type of building offers huge usable floor space and the flexibility that you can only find from column-free structures. From originally used as a temporary shelter for the military, a Quonset hut is now widely used as an office, agricultural storage space, small warehouse, and as a retail shop. By face value, the applications for rigid frame buildings, however, outnumber that of the Quonset huts. Smaller buildings generally cost less but unlike rigid framing, an arch style building usually provides less usable square footage. The curved shape of Quonset hut reduces headspace and hence allows less room for storage. It is not even advisable to put anything against the walls. If you need more space for storing stuff, a rigid-framed structure could be a more efficient choice for you. A square style construction could mean all its four corners offer useable space. Be ready however to pay more for a more usable square foot. Arch-style buildings are durable. In fact, many from Alaska survived winter season since World War II. Compared with rigid frame buildings, however, Quonset Huts are less durable. Modified versions featuring straight walls can only do much especially when you are located in areas prone to extreme weather conditions. Rigid frame buildings, on the other hand, are often more preferred by expanding businesses and individuals requiring a workshop or a garage due to their ability to bear the brunt of heavy snow loads and strong winds. They usually come with 50-year structural warranty and engineer stamped for your specific location. Arch-style buildings, on the other hand, has 30 years of warranty but must be correctly attached to a concrete slab. If you’re area is usually visited by strong weather elements such as hurricanes, rigid frame buildings could be a better option. Be ready however to pay for the extra strength. 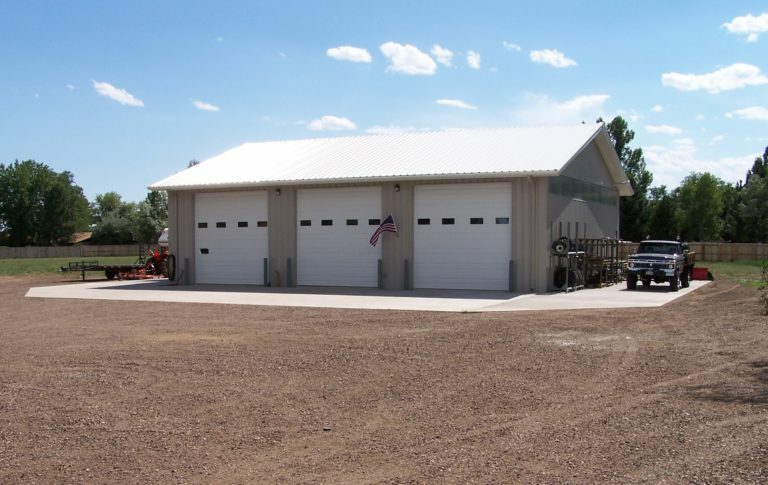 Both types of steel buildings provide clear-span framing. Arch-style buildings such as Quonset Huts however only has up to 80 feet clear-span. That compares less to the up to 300 feet of clear span space provided by rigid frame buildings. Moreover, if you intend to add another level to your structure, you’d be better off scrapping Quonset huts off from your list. Its rounded section and dome-like roof discourage the addition of multiple stories. This makes them less versatile than their rigid frame counterparts.